Recently, when my son and his family put their house up for sale, their realtor hired a staging company to make it more marketable. After cleaning, some paint touch ups and minimal organizing, the family cleared out for a day, and the staging crew showed up—all eight of them. Upon arriving home several hours later, the family found that most of their possessions and all their mismatched furniture had been packed away and hauled to the garage. Their home was designer beautiful and they were expected to keep it that way for the duration of the selling period. When I asked my daughter-in-law a few days later how the kids were doing, she noted that it had been easy because they didn’t have any stuff to put away. They kind of liked it. This demonstrates the reward of simplifying. 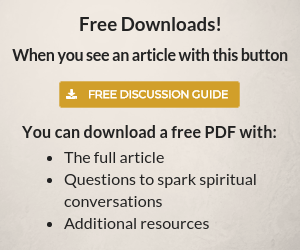 As Michael Card, spiritual balladeer wrote: “It’s hard to imagine the freedom we find from the things we leave behind.” In decluttering our external lives, we discover that we didn’t really need all that stuff, indeed that we are saving time, money, and energy in ways we never expected. We experience freedom from the cultural angst of craving for more and a feel a peaceful contentment with what we have. 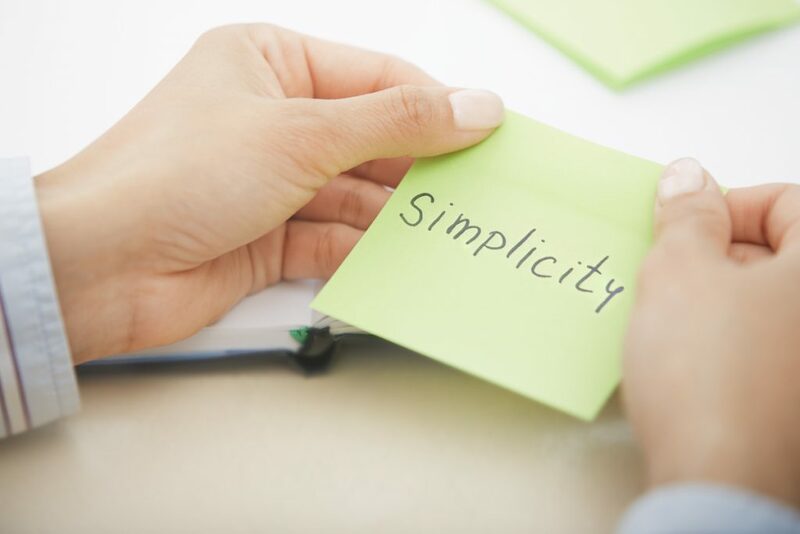 The same holds true as we simplify in our spiritual lives, which are often cluttered with dos and don’ts, with duties and obligations, with activities and responsibilities God hasn’t called us to. For many years in my spiritual journey, I operated under the subtle belief that I had to commend myself to God; that if I just did enough, served enough, prayed enough, worshiped enough, I would eventually experience the peace and joy Scripture promised. To me, dying to self meant that the more I did for God and the greater the cost to my well-being, the holier I was and the happier he would be. I had no idea how unholy my relentless drive was until God began the process of paring down my soul and I stood before him in my emptiness, basking in his assurance that he needed nothing from me and wanted only my love. 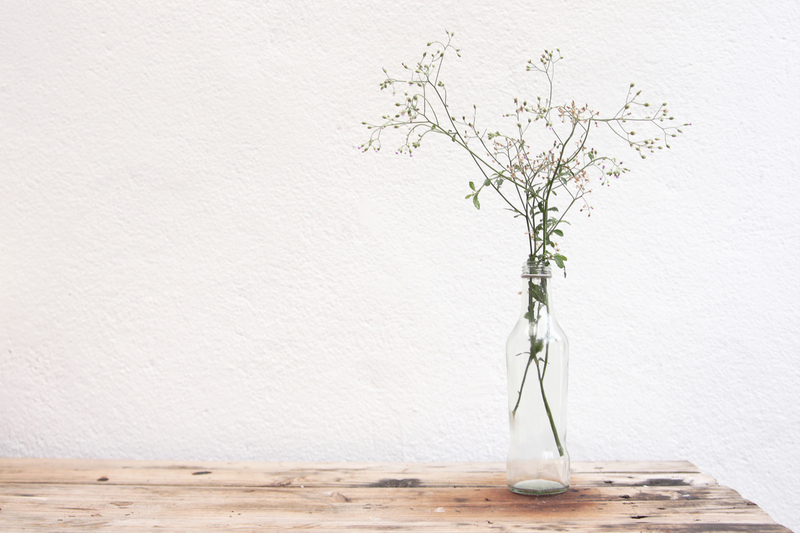 The prayer of simplicity calls us to this kind of letting go, to the understanding that “we die to self when we sacrifice the ego of our vanity for the essence of our truest being.” This, I believe, is what Jesus wanted Martha to know as she rushed about trying to make sure he was served in the best way possible. He never castigated her for her work as the leader in her home, but he knew that she had gone beyond herself, that the stress and anxiety and resentment she was experiencing did not represent who he had made her to be. He longed for her to sit with him rather than serve him, so that he could minister to her needs (Luke 10:38-42). The next time Jesus came to Martha’s home, her brother had died, and the Scriptures tell us that she went out to meet him while Mary stayed at home. Perhaps Martha had let go of her drive to be the strong leader, knowing that what she needed most was to be with Jesus in her grief (John 11:17-30). The tender interchange they had in those moments is a beautiful testimony to the freedom that the prayer of simplicity can unleash. Spend a few minutes pulling yourself away from the noise and activity that fills your life. Sit still in silence, taking a few deep breaths and acknowledging your need for God, who is very present. Read Matthew 11:28-30 slowly and quietly. Hear Jesus speaking these exact words to you. What is he calling you to rest from? What burdens have become hard? Contemplate the yoke that Jesus holds out for you. Ask him to show you what it looks like as we go through the following questions related to your spiritual journey and religious activity. What things about it feel life-giving to you? What things feel burdensome? Why? What might be your hidden motivations? (For example: to impress others or meet their expectations, to make God happy or fulfill some obligation to him, to make yourself feel good enough or spiritual enough). How might you be failing to live as the person God created you to be? Now see yourself as a child, sitting at your heavenly Father’s feet. One by one, hand him those things that are burdensome. See him taking them and setting them aside as he invites you to learn from him who you really are and what things he has really called you to in the coming days. Take a few minutes to simply rest in this place. Repeat this process of offering these things to your heavenly Father in prayer as often as possible for a few weeks, daily if possible. The prayer of simplicity is powerful but surely not easy. We are dealing with our own disordered desires and the force of a deeply entrenched world view that assaults us continually. While I often look at my progress with discouragement, I remember that God is patient and good and will accomplish his purposes with me. This also includes those seasons of wilderness or darkness where I have no idea where he is or what he is doing. In the next chapter, we will look at how to have hope and stay the course during these times by embracing prayer through the dark night. 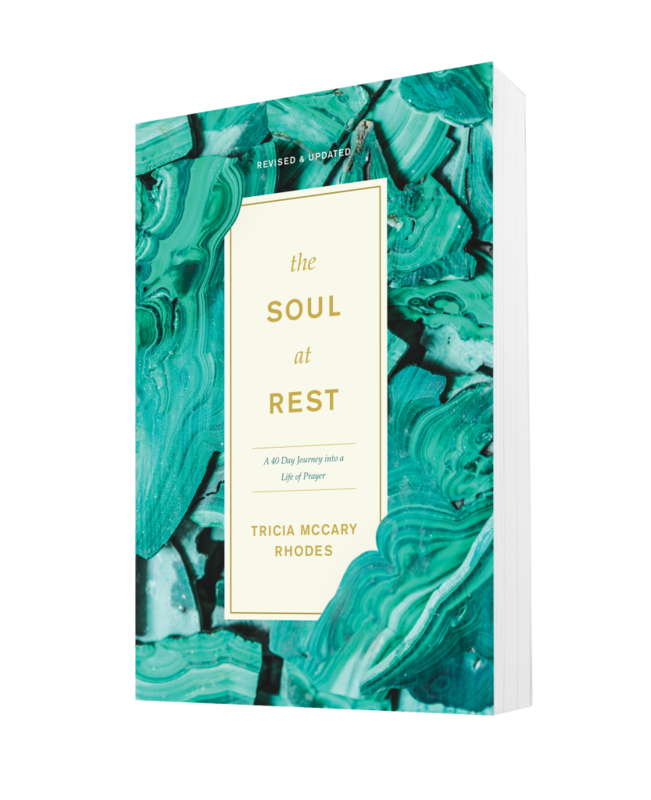 You’ve been reading from Tricia McCary Rhodes’ book The Soul at Rest: A 40 Day Journey into a Life of Prayer. Learn to hear God speak and grow a deeper and more intimate relationship with him. Get the book or read chapter one here for free. Michael Card, Immanuel: Reflections on the Life of Christ (Nashville: Thomas Nelson, 1990), 119. Daniel O’Leary, quoted in: Benignus O’Rourke, Finding Your Hidden Treasure: the Way of Silent Prayer (Liguori, MO: Liguori, 2010), 110.